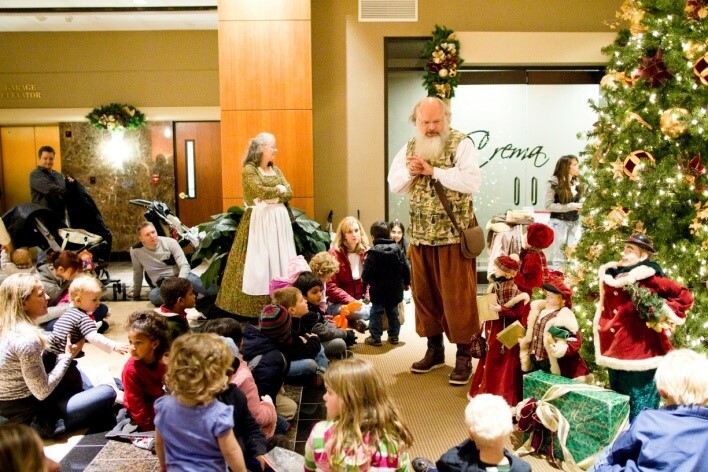 No matter what type of visitor you are, the Ipreo Raleigh Winterfest activities were made just for you. The region’s largest outdoor ice rink is open from Nov. 22, 2013, to Feb. 1, 2014. The rink can be found at City Plaza on Fayetteville St. in downtown Raleigh, and skate rentals are available (or, you can bring your own)! Skating hours vary each week, so check in at www.raleighwinterfest.com for the most up-to-date information. There is always something going on in downtown Raleigh for people of all ages. Below are some suggested itineraries to help shape your plans for your visit. Take the whole family for a fun day of ice skating and education! Spend some time on the rink, and then head on over to a museum to warm up and enjoy the rest of the day. You can visit Marbles Kids Museum, the North Carolina Museum of Natural Sciences or the North Carolina Museum of History. These places have all kinds of activities for all ages, and I’m sure that you and your family will enjoy the visit! Families can also enjoy a nice dinner or lunch at the conveniently located Pogo or The Daily Planet Café. Need a place to take a hot date? Head over to Jimmy V&apos;s Osteria & Bar in the Sheraton Raleigh Hotel to dine and enjoy drinks. For the adventurous, have a seat on the patio around the amazingly warm outdoor fire pit table. From there, you’ll be able to view the ice skating rink and prepare for your triple axel that will surely impress your date. On Thurs., ice skating couples can enjoy a free horse-drawn carriage ride down Fayetteville St. to view the lights and feel the romance of downtown Raleigh. Do you enjoy spending time with your friends and have trouble coming up with new things to do together? 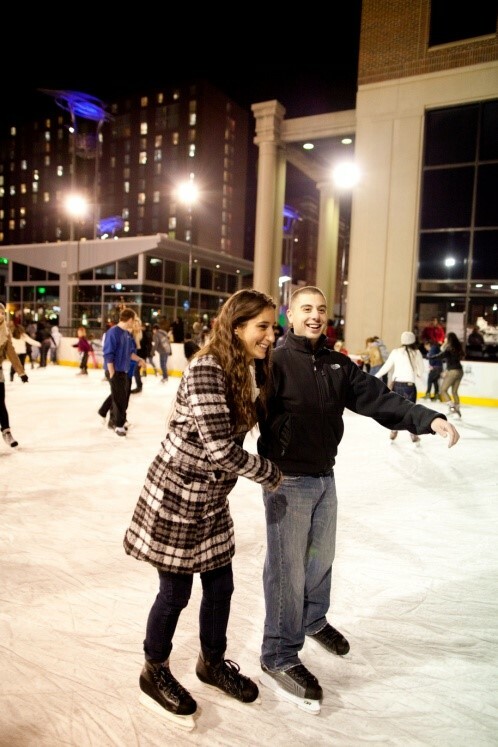 Well get your group to head over to the ice rink before heading out to bars for a fun filled evening. You can cozy up at Foundation, one of downtown Raleigh’s favorite watering holes. The atmosphere in the basement bar makes you feel right at home with their home-made cocktail mixes and eclectic drink choices. If you’re looking to warm up even more, head over to The Pour House Music Hall to see live music and boogie the night away, seven nights per week. On Dec. 7, bring the family, the hot date and your friends out to celebrate the season together. 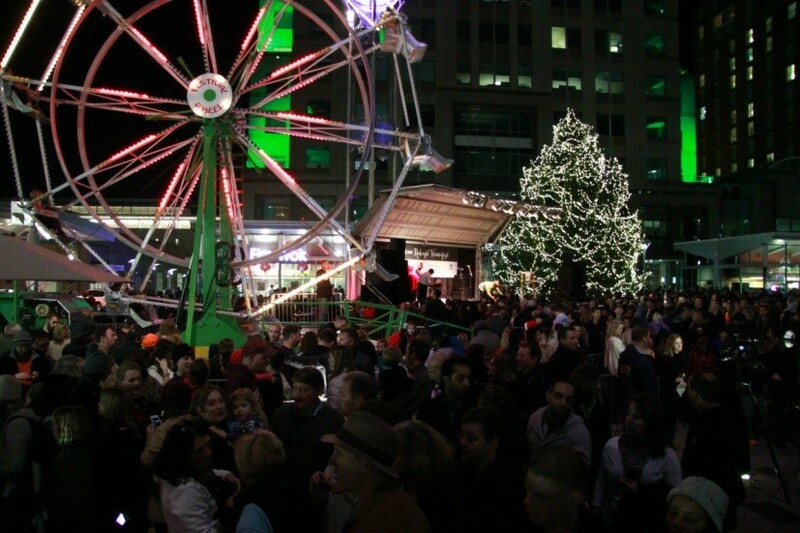 There will be a huge celebration event from 3–10pm, which will include ice skating, Santa’s Winter Wonderland, sledding, rides like the Ferris wheel or carousel, an outdoor movie screen showing Elf, live music on the main stage or in the beer and wine tent and the official mayor of Raleigh’s Tree Lighting ceremony. 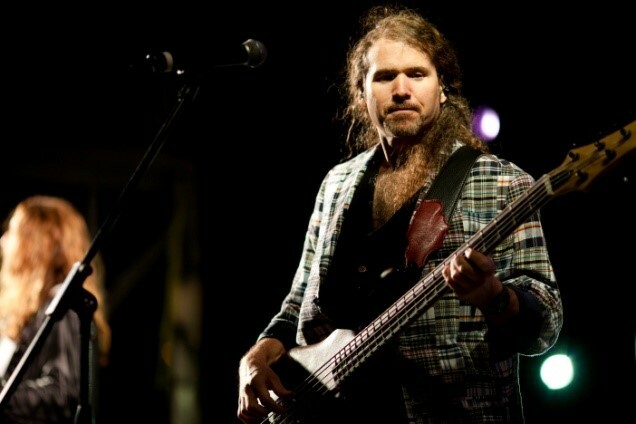 Visit www.raleighwinterfest.com for more planning information! This article was written and provided by Downtown Raleigh Alliance (DRA) director of communications and membership Lacie Lindstaedt. DRA is an award-winning nonprofit organization whose mission is to continue the revitalization of Raleigh’s downtown by enhancing its quality of life and contributing to its economic success. Visit DRA at www.YouRHere.com!